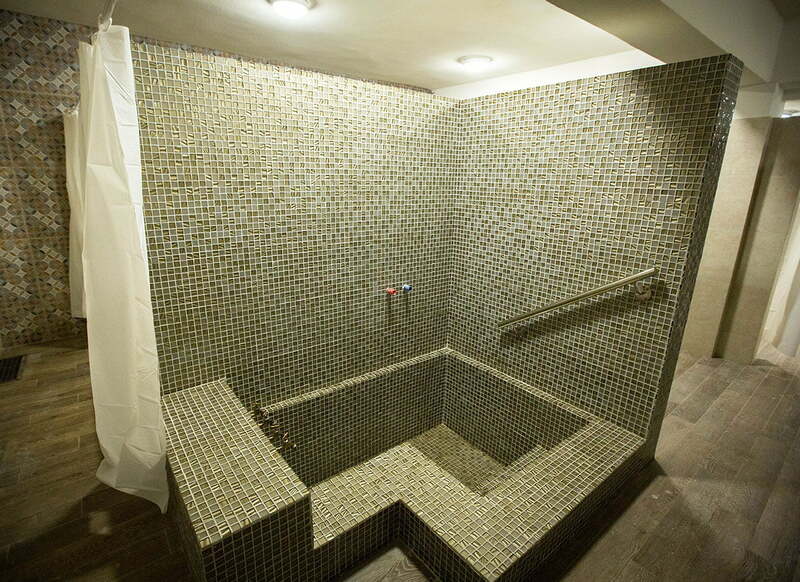 (swimming pools, fitness, Jacuzzi, kneipp baths, 5 saunas. Your health is the most important. And when it comes to keeping it, any method is worth trying. and in this sense we recommend sulfur baths because they can do true miracles with your health. Degenerative Rheumatism – osteoarthritis disease of lower limbs and sacroiliac complex , hands arthrosis , and scapular humeral complex. Spine degenerative diseses – cervical spondylosis and cervical discopathy syndrome, dorsal discopathies and spondylosis ,lumbar discopathies and spondylosis diseses. Post Traumatic conditions – ariculation and immobilization post traumatic conditions,hip surgery ,shoulder and hip arthrosis, peripheral nerves post-traumatic lesion, tendon lesions, circulatory & trophic disorder after fractures, vertebral post-traumatic sequelae, vertebral pain, limited mobility ,vertebral insufficiency ,muscular and imbalance deficit. Peripheral neurological conditions paralysis and paresis of the lower and upper limbs, polyneuritis , polyradiculoneuropathy, cauda equine syndrome , poliomyelitis sequelae . Central neurological conditions asthenic neurosis cured, in prevention purpose. Children and teenagers – head tilted forward, shoved away, shoulder blades away from ribcage, back rounded,basin bent forward, prominent abdomen . Besides the major indications, in many cases the patients suffer simultaneously from associated diseases, who can benefit from treatment in Herculane. Diseases of the respiratory system chronic traheobronsite, chronic sinusitis, chronic allergic rhinitis, pharyngitis, chronic laryngitis. Occupational diseases pneumoconiosis, sequelae after intoxication, mercury, lead, arsenic, manganese. Through diadinamic currents, interferential currents, Tens, currents of Trabert, galvanic currents. 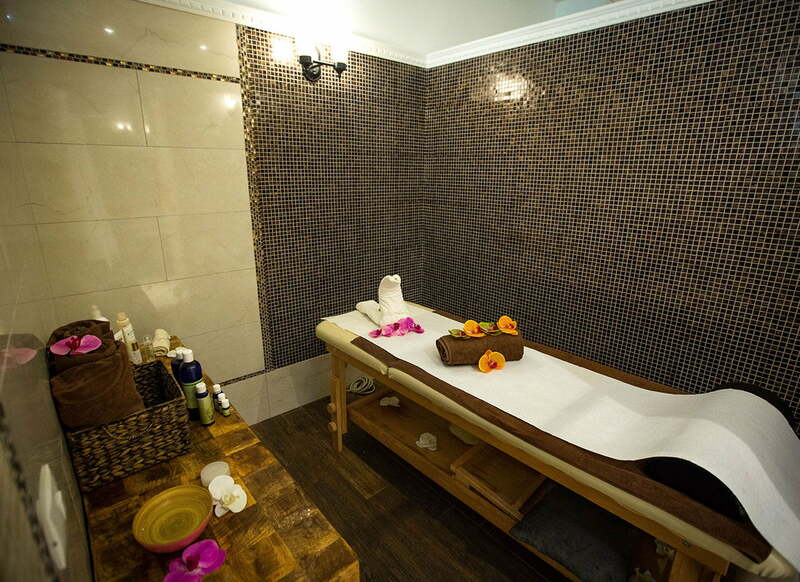 Treatment of sprains, contusions and other traumas. Short-wave therapy is a high-frequency therapy. Applying short wave therapy determines the heating of tissues by using electric and magnetic fields. Short waves are applied using the capacitor field method or inductor field method. 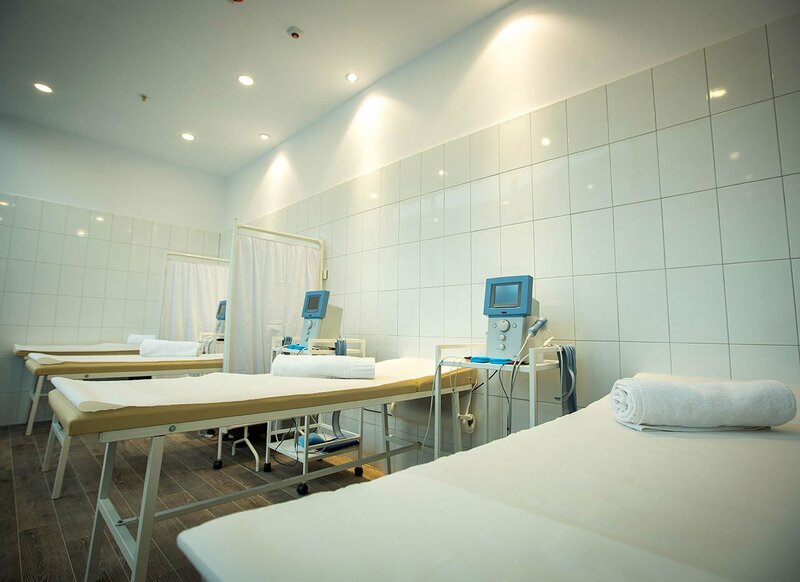 MLS therapy is a new therapy used to treat pain, inflammation, swelling and repair of superficial injuries. It is the most advanced laser technology currently available, non-invasive and painless. It has been developed to overcome the limits of traditional laser laser therapy based on the use of laser diodes. 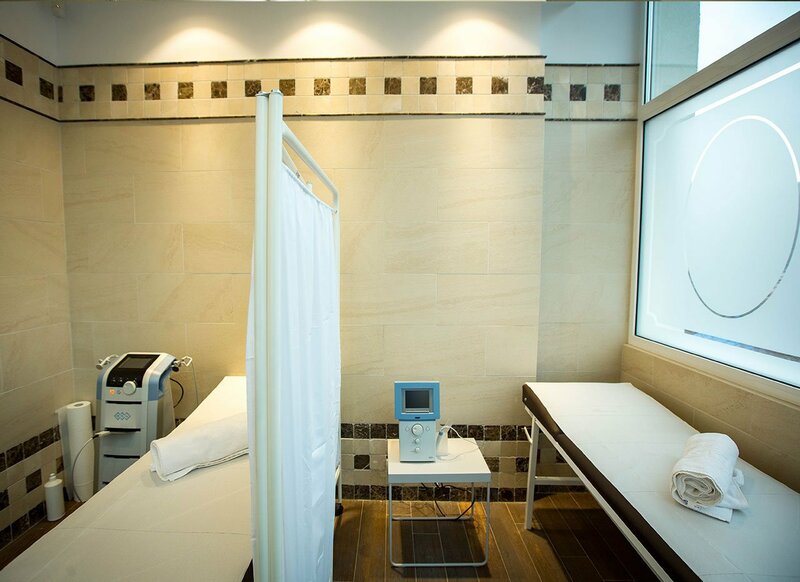 Ultrasound – performs a sort of micromassage of cells and tissues, which is accompanied by heat and provides an anesthetic effect, “softening adhesions”, improving blood circulation and tissues. The physiological effects of ultrasound are Hiperremiante Miorelaxant Analgesics. The benefits of ozone therapy are becoming more and more widely recognized by doctors around the world. The power of this therapy increases the chance for life. It’s a medical treatment technique by physicians trained in this field for athletes where ozone treatment ensures better oxygenation of tissues, including muscles, resulting in increased exercise resistance, better sports performance, and for the elderly or adult, not necessarily sick, ozone therapy leads to better oxygenation of the tissues, stimulation of the immune system and increased resistance to infection. 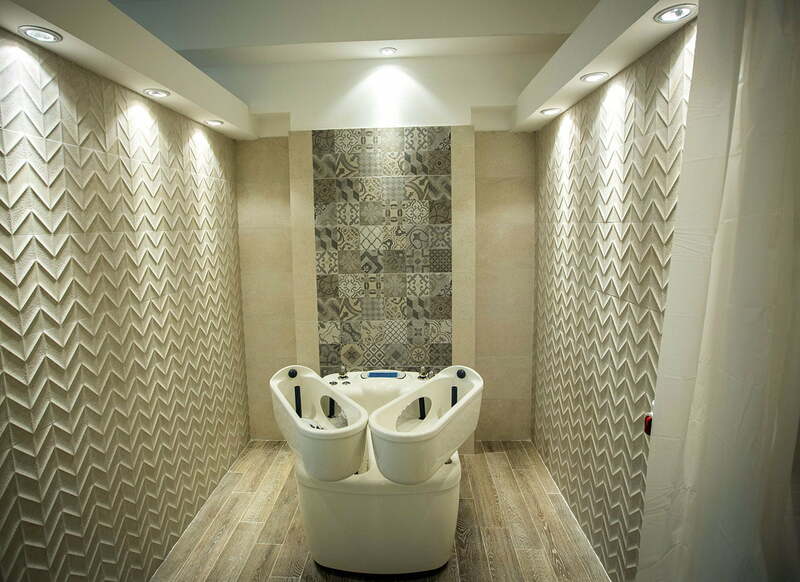 It is used both for beauty and in treatments such as those for reducing rheumatic pain and as therapy in arthritis, osteoarthritis, rheumatoid arthritis and ankylosing spondylitis. Baths with these plants alleviate pain and improve joint mobility for both rheumatoid arthritis and joint injuries. At the same time, herbal remedies do not show the side effects of classical medicines. It combines the action of warm water with that of galvanic current, using four cells (cuvettes for lower and upper limbs). By producing local hyperemia, activating metabolism and stimulating tissue trophicity, therapy has anti-inflammatory, antialgic, vasculotrophic and peripheral circulation activation effects. 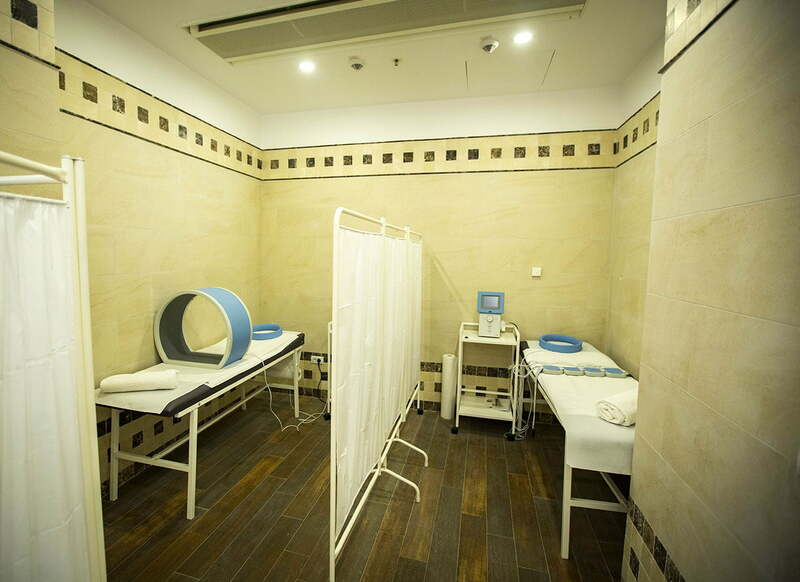 The carbon dioxide bath is a method used in the prophylaxis and treatment of cardiovascular diseases. Among the therapeutic indications: HTA std I-II (hypertension, stages I-II), sequelae recuperation after acute myocardial infarction, ischemic cardiopathy, operated valvulopathies, arterial and venous peripheral circulatory disorders (eg post-bleeding sequelae, Raynaud’s disease, venous insufficiency etc.). TAerosol therapy is a revolutionary way of treating many conditions, including obstructive airway diseases. This form of treatment involves the introduction of drugs into the lower respiratory tract by means of aerosols, in order to obtain a topical or systemic effect. Physical therapy is part of physical medicine and studies the neuromuscular and articular mechanisms that provide human normal motor activities. It is based on well-structured medical recovery programs aimed at restoring some diminished functions. Thousands of years ago, reflexology has amazing health benefits, not only in terms of healing, but also in the prevention of certain diseases. Reflexology is a non-invasive treatment tool, a reflexology application based on the energy connection of certain dots and areas on the ears, hands and feet of each organ and parts of the body.